Great location and staff. Place is clean and maintained. 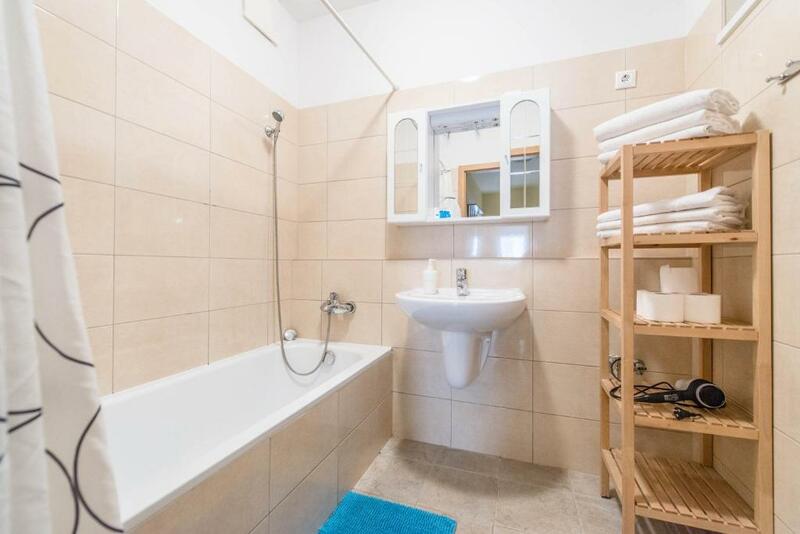 Supper price,nice and clean apartment.It's at great location if you want go do some clubing.There is a 24h shop 2 min from the apartment. Everything was amazing. Apartment was new, clean, big with all facilities. The location was superb, mid downtown. Walking distance from everything. Staff at the reception were very nice and polite. Place has it's own parking space in a garage for a fee. Overall amazing value for money. The apartment had everything we needed, location was good, service was excellent. Breakfast was in another hotel, but was worth the walk down the street. The guys at the reception were very friendly and helpful. We had to leave the cars for a couple of extra hours in their parking and they didn't charge extra. The location was very good, right in the center, close to major touristic attractions. 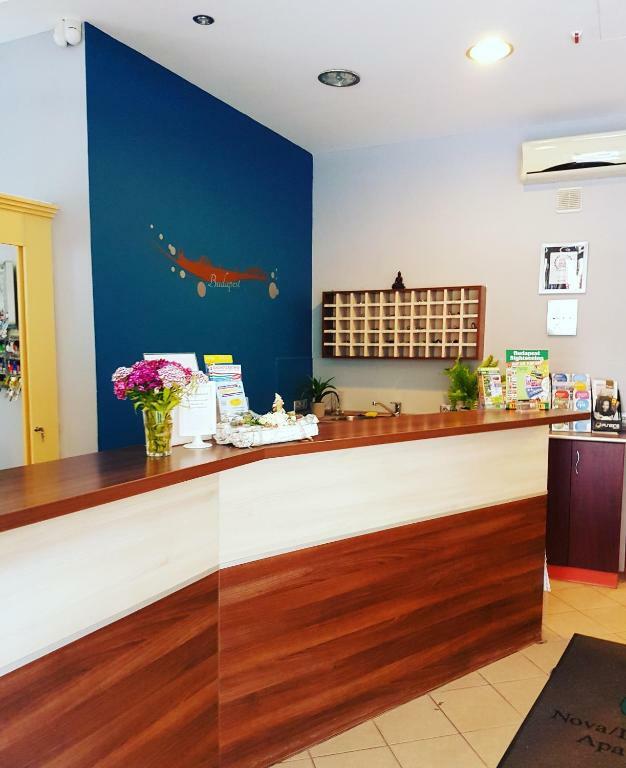 Exellent location, afordable parking, friendly staff, easy check in-out. Great apartment, comfortable beds. If windows face the street, you will probably hear some people at night, but it's not very disturbing. They have apartments which face the yard, too. Lock in a great price for Nova Aparthotel – rated 8.7 by recent guests! Nova Aparthotel This rating is a reflection of how the property compares to the industry standard when it comes to price, facilities and services available. It's based on a self-evaluation by the property. Use this rating to help choose your stay! 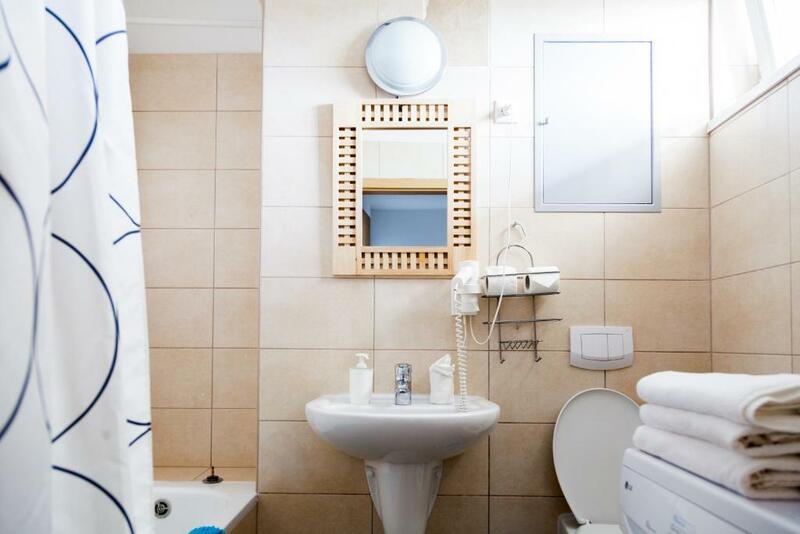 One of our top picks in Budapest.Located in the center and just 1,000 feet from Blaha Lujza Square and the underground station, the Nova Aparthotel is a great base for exploring the city, providing utmost independence. The comfortable apartments are air conditioned with a fully equipped kitchen, large living room and free WiFi. 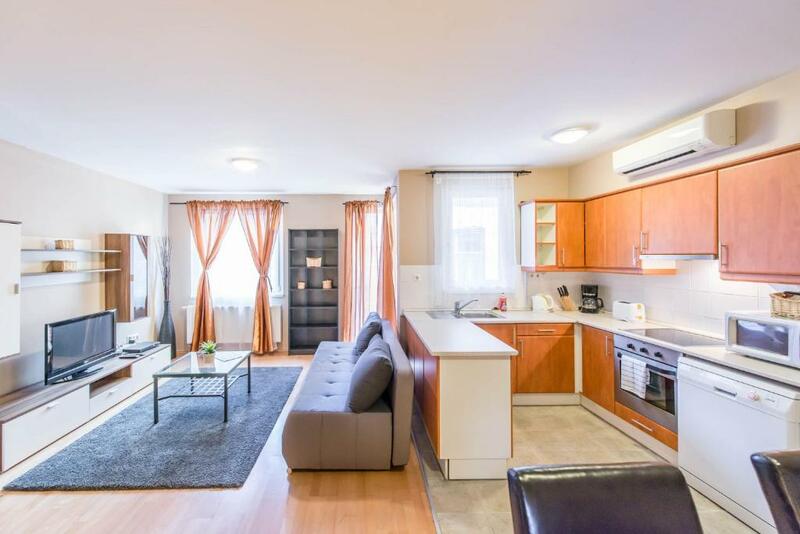 The property is ideal for people wanting to be close to several tourist attractions including the State Opera House, Heroes Square and St Stephens Basilica. There are numerous dining options in the surroundings, including Italian, Hungarian and Asian cuisine. Guests will find many bars and clubs nearby. The Nova Aparthotel is housed in a brand-new building with a 24-hour reception. Free bicycle and DVD rental is also available on site and free walking tours around Budapest can be organized. 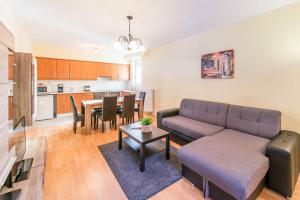 뀐 Located in the real heart of Budapest, this property has an excellent location score of 8.9! When would you like to stay at Nova Aparthotel? The apartments feature 2 bedrooms, 1 living room with a sitting area and a full kitchen with a dining area. Facilities include a flat-screen TV with satellite channels. The studio features a combined bedroom and living room with a sitting area and a full kitchen with a dining area. Facilities include a flat-screen TV with satellite channels. This apartment feature a living room with a sitting area and a flat-screen TV, a full kitchen with a dining area and a bathroom with a shower. Family owned business. We love travelling! Please come and try our hotel! Nice area, the most popular district in Budapest. Area Info – This neighborhood is a great choice for travelers interested in city walks, old-town exploration and food – Check location Great location - show map Guests loved walking around the neighborhood! House Rules Nova Aparthotel takes special requests – add in the next step! Nova Aparthotel accepts these cards and reserves the right to temporarily hold an amount prior to arrival. A deposit of EUR 20 is required upon arrival for the keys. This will be refunded, once the keys are returned. In case of group bookings a security deposit is required which is EUR 50 / person. The deposit will be returned upon check-out if there has been no damage to the apartment. The shower had to be run for about 15 mins before if was warm- not ideal. The apartment was quite stuffy and warm - air conditioning is only available in the summer months (which is stipulated at the check in desk but not specifically mentioned on the listing on the website). When we enquired about this we were told it was too early and to just keep the windows. This would have been ok but the complex was noisy at night with the windows open so overall it was quite difficult at times to get a good night sleep. Good location, easy to get to. Check-in was very easy. The apartment itself was clean and more spacious than I had thought at first. Staff were helpful and friendly, they helped us arrange airport transport on our last day, and pointed out some places we might want to visit marked on a map on the first day. The staff also kindly helped us print our boarding passes for our flight home. It was very good value for money. Cleaning would have been better. The balcony viewing the street was very nice :) Nova apart provides vouchers for the breakfast served in a hotel very near. The location was great. The clean room with all properties. Some small fixtures and maintenance on the apartments front doors locks needed. In general OK. Very cozy and nice apartments. Close to the city center and metro, tram and bus lines. Really enjoyed my stay. The accommodation was very good, on good distance to the center. Especially would like to mention good staff attitude, Mr. Balazs was especially gentle and helpful during our stay. Accommodation is safe and clean with nice facilities. Some noise in the night from revellers coming out of local ruin bars/ clubs. We were on the 6th floor and windows were closed. Could be an issue for some people who are light sleepers. Beds were very comfy. Clean, modern, airy apt. Cleaner came in every day. Even included coffee for the machine, sugar and salt. Staff on desk were very helpful and knowledgeable of the area. High price for lost key.